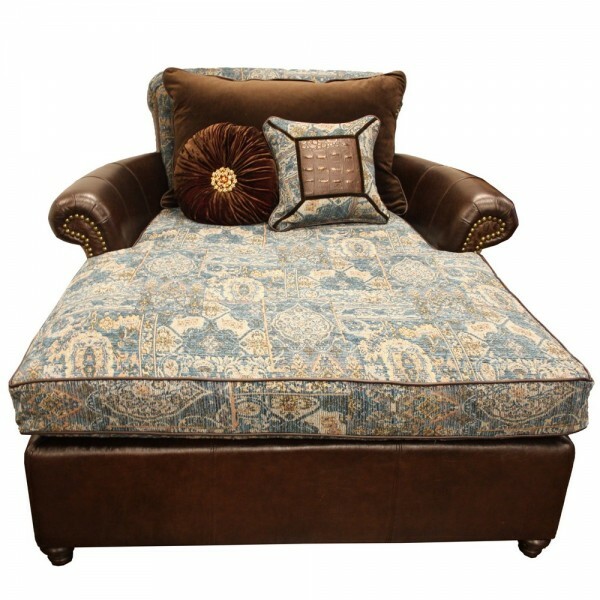 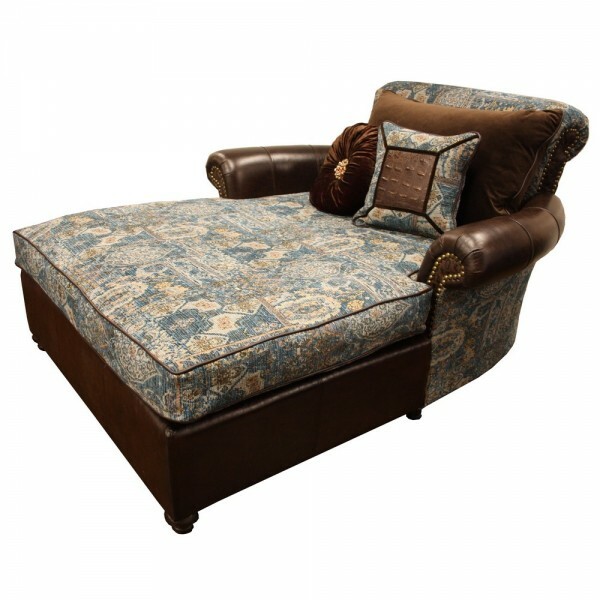 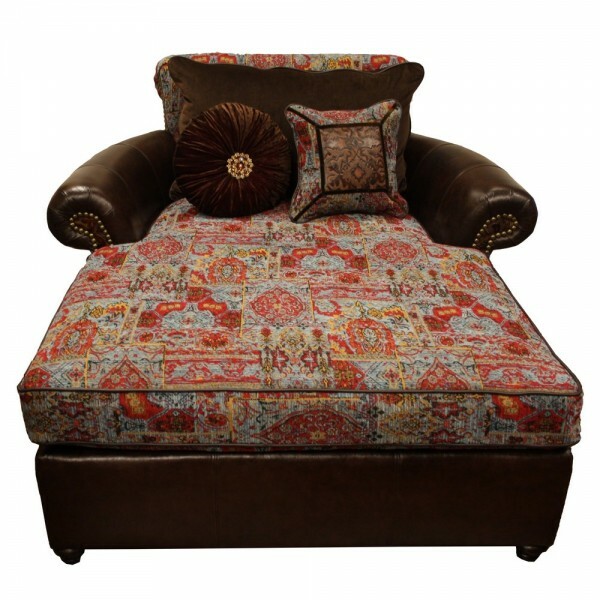 Comfy western chaise has room enough for two on a snuggly night. 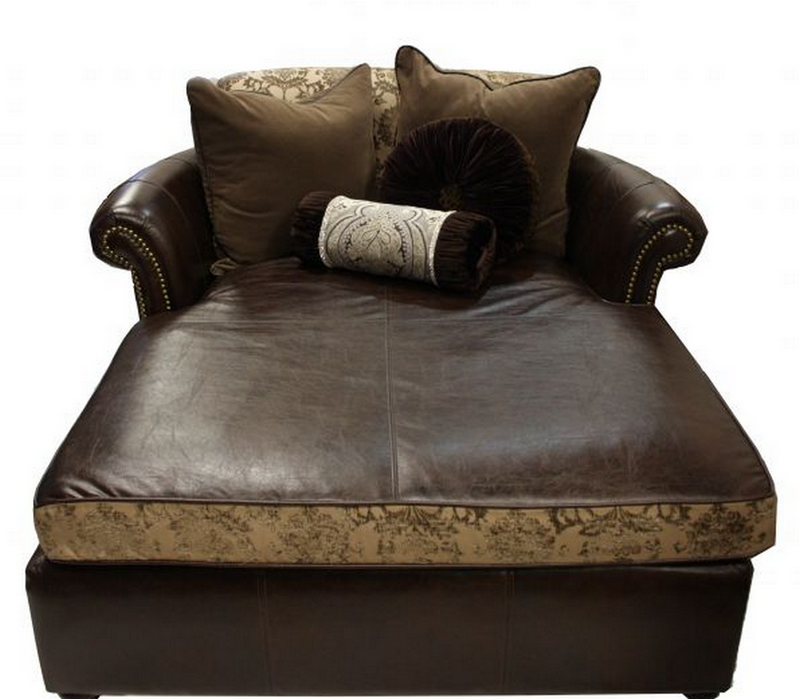 Customize your own chaise with your choice of leather and fabric! 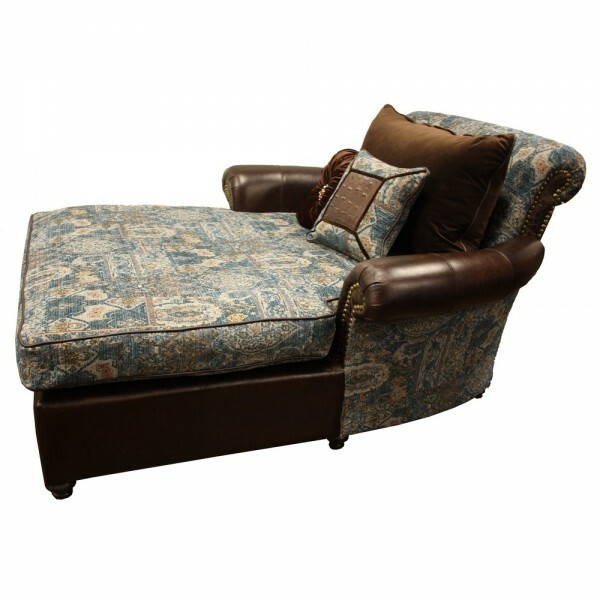 The silhouette of the chaise is inspired by transitional and old world furniture, while the various leather and fabric combinations can take this chaise to match any decor, from modern chic to traditional.